Pioneer Computers Australia has released a Military Standard Laptop. The DreamBook Tough R13 Laptops come with 13.3" WXGA (1280x800) TFT LCD, over 300 nits brightness LCD Panel with LED Back Light in a Magnesium alloy chassis. The ruggedized laptop is 100kg/220Ilb pressure resistant, 76cm / 2.5ft drop resistant and the keyboard is 100c.c./3.38 oz water spill resistant. 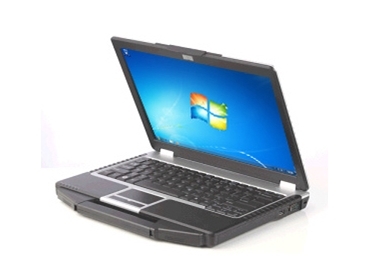 The anti-shock design of the DreamBook Tough R13 Laptop protects LCD screen, HDD and ODD. Weighing just 2.0 kg, the versatile laptops are great for travel. Their fan-less design ensures quiet computing without distraction.